Jacob has wanted to get an ice cream from an ice cream truck for so long. It’s on our summer list, but I’ve never seen an ice cream truck on my street. He went to Mimi and Bop’s house and bam! Ice cream truck! He picked this Minion Popsicle and called us to tell us how excited he was! 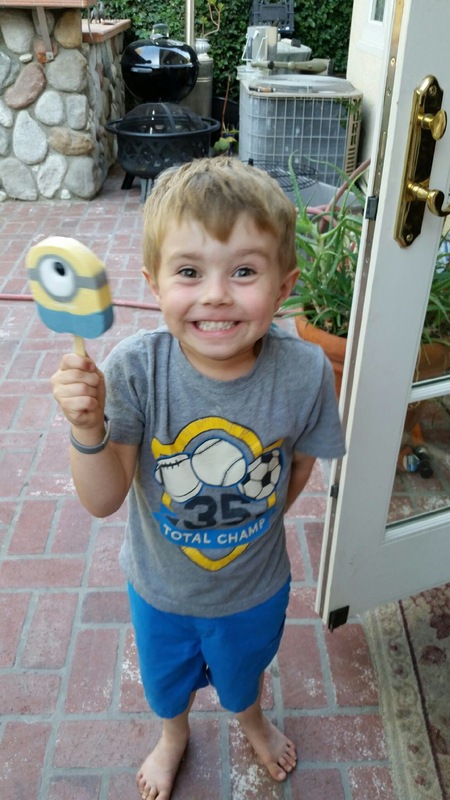 This entry was posted in Jacob stories and tagged 4.5, excited, four, fun, happy, ice cream, jacob, list, minion, Popsicle, smile, summer, truck. Bookmark the permalink. Look at that sweet, Happy face!! Geez, I Love this kid! !